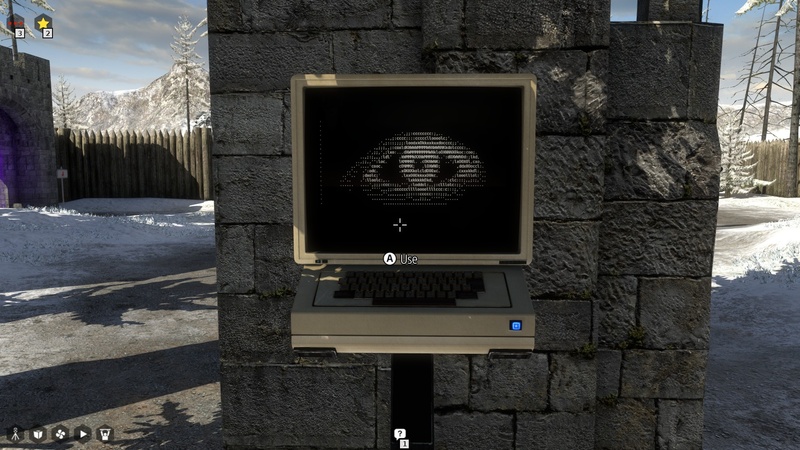 Identity (Re)Construction and Ethical Exploration in The Talos Principle. a thesis submitted in partial fulfillment of the requirements for departmental honors in English and American Literature. Playtesting, n.: "a method of quality control that takes place at many points during the video game design process. A selected group of users play unfinished versions of a game to work out flaws in gameplay, level design, and other elements, as well as to discover and resolve bugs and glitches." What happens when a philosophical encounter becomes an activity, when your actions become an argument? This thesis, which employs a digital-born website format and creates an innovative experiential web presence, explores the effects of medium on our understanding of philosophical and ethical precepts through phenomenological and narratological analysis of The Talos Principle, a first-person puzzle-adventure video game wherein players adopt the identity of an Artificial Intelligence and explore a virtual world of physics puzzles and existential uncertainty. Players engage in a game-spanning Socratic dialogue on political philosophy and the definition of personhood with a computer program and read over one hundred diegetic and non-diegetic texts, playing through conceptual puzzles alongside more conventional ones. Drawing on theories of radical constructivism, narrative interactivity, and play, I argue that by recasting the evaluation of philosophical concepts as playtesting, as the adopting and discovering of "glitches" in multiple ethical perspectives, the video game can be designed and experienced as an explicit philosophical teaching tool, an ethical playground wherein philosophical literature can be encountered and empirically evaluated, read and tried, in a manner unachievable by any other single medium. My project experiments with medium and form as much as The Talos Principle. Chapter One begins with a gameplay video, which I analyze through the lens of Ernst von Glasersfeld's theory of experiential learning and knowledge as a personally constructed subjective possession. Through immersion in an unreal virtual world, players immediately come to understand the rules and goals of the game through the embodied activity they undertake by controlling their characters; their responses are informed by their newfound understandings. Chapter Two focuses on the impact of the narrative forms and sources of external corroboration of players' interpretations of the rules governing the game world. I analyze the effects of initial knowledge-states on the levels of importance placed on player- character encounters and the ways in which reading the real-world philosophical excerpts and diegetic fictional philosophies become incorporated into experiential play. Chapter Three deconstructs the game-spanning Socratic dialogue between player and Artificial Intelligence character Milton. The source code exposes the various philosophical subject-positions anticipated by the designers and consequently made available for players to explore and claim as their own, with dozens of unique player choices and espoused values funneled into one of the conversation's six possible endings. My interview with the conversation's narrative designer provides the foundation for the intended and potential philosophical and ethical takeaways from The Talos Principle and the ways in which the concepts explored and the philosophical thinking strategies learned in-game carry consequential weight when the player exits the game and returns to the real world.